Whenever I find a matte bronzer with a great universal color - and added features, I can't wait to share it with you! 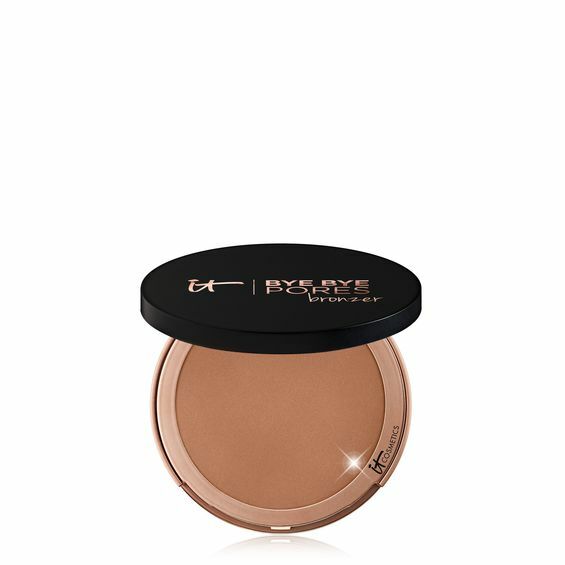 It Cosmetics Bye Bye Pores Bronzer is a new matte bronzer made with blurring technology. It's oil free, talc free and includes coconut extract, anti-aging collagen, hyaluronic acid, peptides and vitamins A, C and E. And there's a great, coconut-sun tan oil inspired scent too. I was extremely impressed by how smooth and silky IT Cosmetics Bye Bye Pores Bronzer felt on my skin, as well as the airy-lightweight texture. It blended like a dream and looked very natural. Each day I looked forward to opening the case and getting a small whiff of the beachy-coconut scent, (which lingered just a few seconds while applying it). I could see there was a blurring effect and I loved how it made my skin glow and look like it had been touched by the sun, with natural color. The lasting power was also great. The color stayed true all day, as well as the glowy - but never shiny finish. I got fantastic results applying this with the IT Cosmetics Heavenly Luxe Wand Ball Powder Brush #8. I highly recommend you invest in this brush. It is the softest, plushest and most perfectly rounded brush I have ever used. And it was perfect for applying the right amount of bronzer. 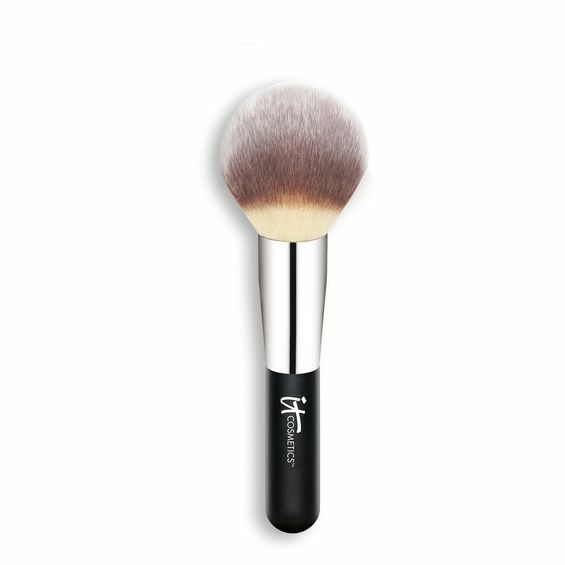 The Heavenly Luxe Wand Ball Powder Brush is made with their proprietary synthetic hair, a soft touch handle and precision cut brush head so that makeup goes exactly where you want it to. The bronzer case also has with a lower compartment for a small applicator brush and a mirror for applying while out and about and traveling.